Holly at Fit is the New Black posted a link to this Runners World article yesterday that made me think hard about this question. 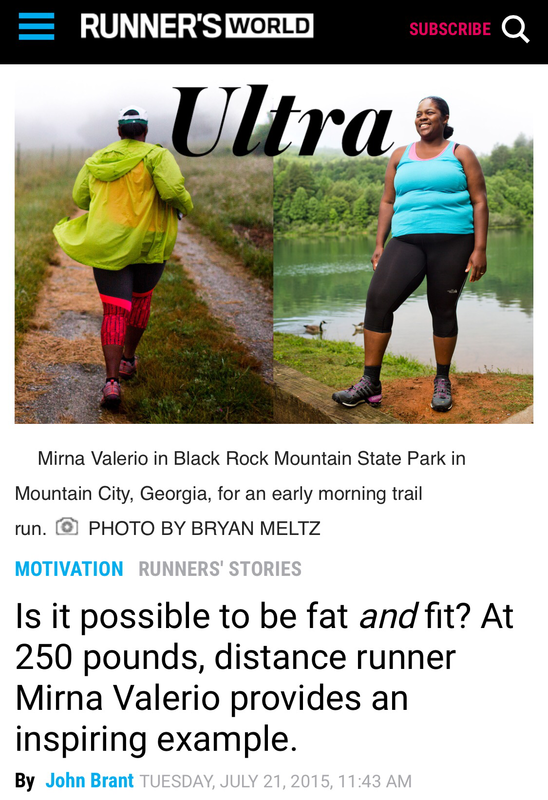 The article is about Mirna Valerio, a trail runner who exercises her heart off, teaches kids do love workout, but who can’t drop below 250 pounds. She says she’s fit and fat. Is that possible? At first, the journalist seems to be suggesting that Mirna does everything she should but her body is just stuck and she can’t lose weight. She runs twice a day, stays active all day but her just body refuses to drop the weight. But later, Mirna lets you know she is not about to diet herself crazy skinny. She eats healthy foods but she eats what she wants. And she does distance running but not necessarily at a fast pace. Whatever, she’s running. At her weight, it’s not easy on the body. But then the article changes focus. Turns out Mirna is also challenging race barriers in her community. And you want to applaud Mirna for what she’s doing to project a positive image in the face of ignorance. But then the article changes focus again. And Mirna is not just a self-proclaimed fat-girl (her words, not mine – her blog is called Fat Girl Running), who’s living her life proudly and doing her own thing regardless of what others are saying. Turns out Mirna is a bookworm, Julliard-trained musician, athlete in several different sports. The more I read, the better the article was and the more I admired this woman. I was ready to start chanting Mirna for President! I’ve had my issues with Runners World articles. You’ll remember this rant and this one a year ago. But Runners World has totally redeemed themselves with this writeup. I’m still not sure where I stand on the Fit and Fat question. is it enough that a person says they can’t lose weight? Is there medical advice that supports that as a stance? But everyone doesn’t have the same goals. And that’s fine. Everybody doesn’t want to be a size triple zero. Some ladies love their curves. I saw Whitney Cummings on KLG and Hoda yesterday raving that since she gained 20 pounds, everyone has been complimenting her, thinking she’s had a face lift because her face has finally filled out. Instead of focusing on fat or not, maybe what we really need to do is focus on being the healthiest version of ourselves. 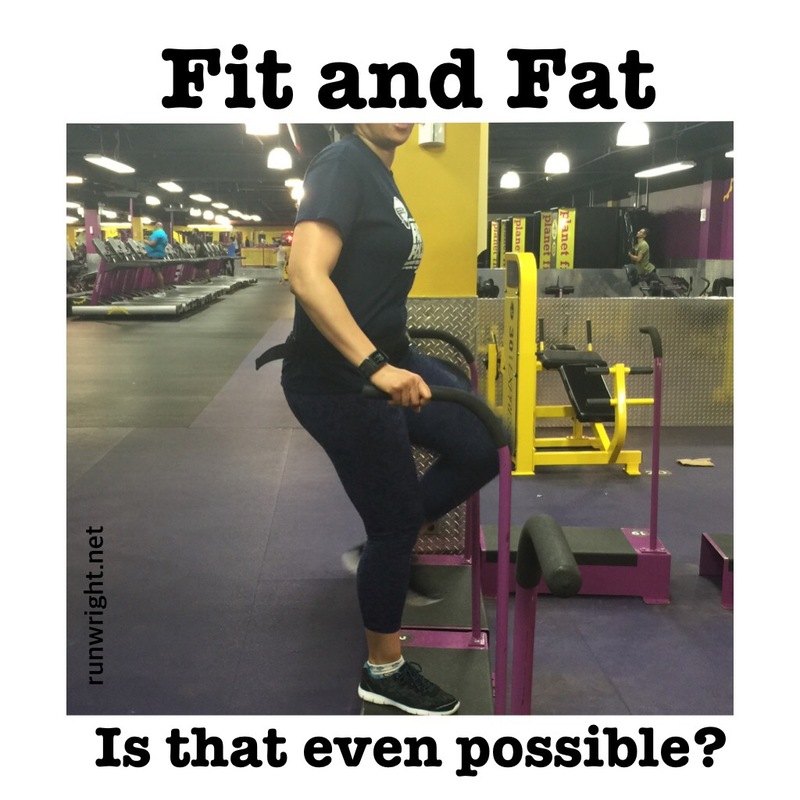 So what do you think about Fat and Fit? My main form of exercise isn’t running. But I do stay very active. I have noticed since I hit my mid-30s… what worked five to ten years ago isn’t doing much now. But that’s just a metabolism slowdown (I hope). As far as fat and fit, I guess “fat” is subjective. At a certain height and muscle mass 200+ lbs is perfectly healthy. I guess the question is 200+ lbs of “what”? At the same time there are people who weigh 100 lbs less and are plagued with bp problems and other maladies. They may not be “fat” in society’s eyes… but they are far from fit. A bigger frame doesn’t always mean unhealthy. Either way, if you’re honestly taking care of your body… the “fit” should matter more than the numbers on the scale. I absolutely agree with everything you just said. Skinny isn’t necessarily a benchmark for fitness. I wrote a post on that same topic some time ago. 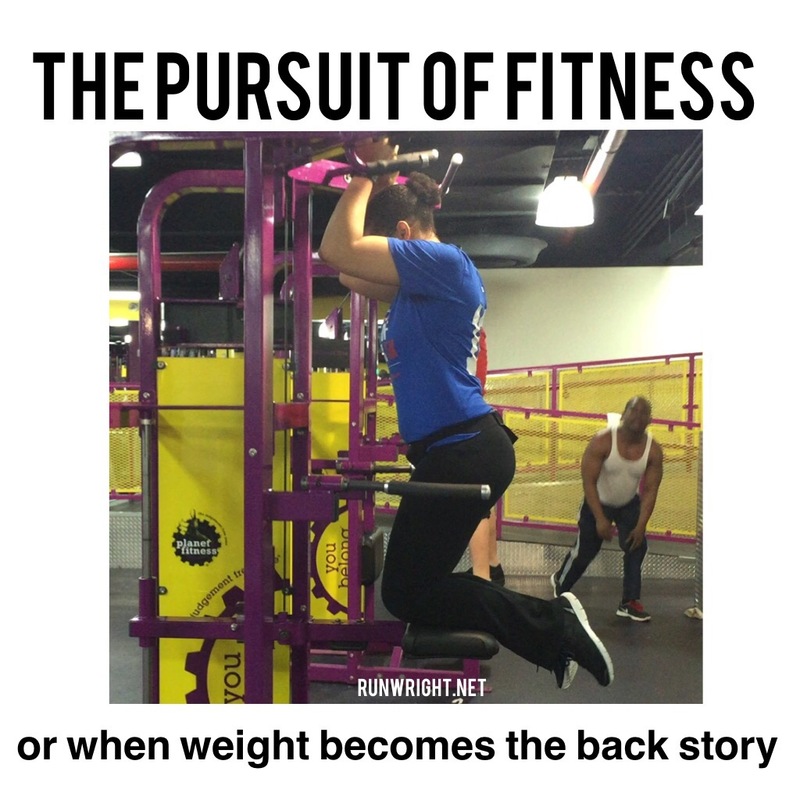 https://runwright.net/2015/03/30/7-signs-of-physical-fitness-that-have-nothing-to-do-with-weight/ but that’s not to say extra fat should be ignored since that’s be shown to lead to other health problems. I think she’s doing what she wants in a way that makes her happy. She feels no need to justify or apologise because she’s different. I applaud and envy her. Haha. Well, that was my answer so I wanted to hear yours. Thanks for responding. No problem. I like responding to you because your respond back. Thanks. I like when readers leave comment so I try to reply. Also, there are some blogs I read and leave comments that the writers never acknowledge. That’s disappointing so I try not to do that to my readers. I think you dont have to be skinny to be fit – but in the same token you cant be fat and fit. You can be fat and have heath but you’re not fit in the strictest sense of the word. I like that the article delved deeper into her life though! That’s awesome. I would have loved to read it. I agree. Fitness is correlated with weight but not necessarily determined by it. Is it possible to be overweight and still have a high level of cardiovascular endurance? Yes. That being said, I would draw the line at using the word fit. The health risks associated with excess body fat cannot be erased. Agreed. I liked the article of pushing through the disease (they called obesity a disease) towards physical fitness. However, saying “fit” implies that a person has reached the goal even though they are still on the fitness journey. I liked that perspective as well, that physical activity was one of the ways she is coping with the disease of obesity. I think that’s a much healthier approach, in that it gets people thinking about the benefits of physical activity for your health beyond just the effect it may have directly on your weight. I’m with you – I loved this girl after reading this article and started following her blog! I really admire that Runners World chose her. For sure, Mirna is not the only woman with this kind of experience but I am impressed that they chose to publicize her story and maybe cause us all to be a little more sensitive in the process.